LG recently announced VPInput, an app for PCs and select LG handsets that makes Bluetooth pairing a breeze. 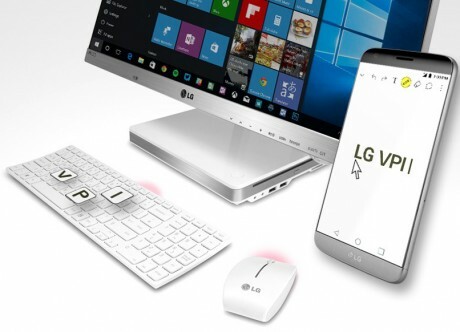 More than simply connecting the devices, VPInput lets LG smartphone owners control their device using the PC's mouse and keyboard. LG is pitching the app as "a convenient solution when you’re at your desk but want to check your phone without interrupting your workflow." For example, VPInput can be used to copy text from a Word document on a PC and then paste it into a document on a smartphone, or take a screenshot on a phone and display it on the PC screen. Further, function keys on the PC can be used as shortcuts to launch certain apps or tools that are on the smartphone. VPInput is free to download from the Google Play Store, but is only compatible with the LG V10, G4, and G5 smartphones.